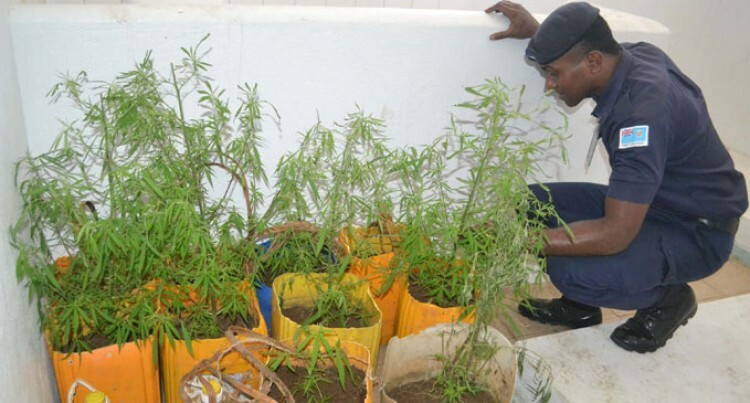 Swift investigation by Labasa Police officers led to confiscation of ten marijuana plants early yesterday morning. Police spokesperson Inspector Autnaisa Sokomuri confirmed that Police officers managed to raid two farmers’ houses in Dogotuki, outside Labasa Town. “We received a tip from our networking group, Duavata Community Policing, and immediately our officers carried out the raid,” Inspector Sokomuri said. He said they also found two plastic bottles filled with water that the farmers had used to water the plants. “The Police officers arrested the two farmers who have been questioned and are being held in custody as investigation continues,” Inspector Sokomuri said. He said Police officers were being vigilant on drugs in the Northern Division and continued with its special operation in this regard. “We thank our active Duavata Community Policing group for their co-operation and we hope that other crime prevention communities would support us in eradicating crimes in North Division,” Inspector Sokomuri said. Inspector Sokomuri said people should not choose drug farming as a way to earn easy money.